Our project brings people from a range of disciplines all with the unified aim of building and exploring resilience in deaf youth in South Africa. Over the past months, we have been planning for the first phase of the project, we call this Inspiring Futures. It involves engaging deaf youth in film-making workshops in Durban (South Africa) to explore resilience, with specific emphasis on their future life prospects. Our team includes Dr Lorenzo Ferrarini and Prof Andrew Irving from the Granada Centre for Visual Anthropology, University of Manchester; Prof Alys Young from Social Research with Deaf People, University of Manchester; Prof Claudine Storbeck from The Centre for Deaf Studies, Wits University and Nenio Mbazima, filmmaker from Johannesburg, as core members of the team. 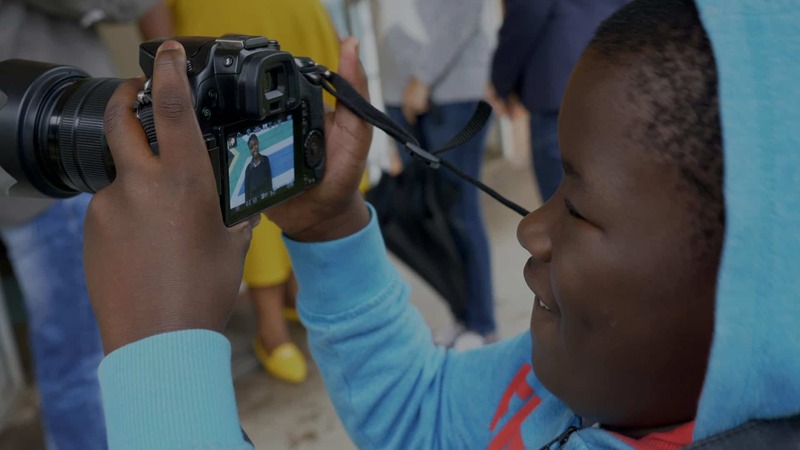 They have all worked in partnership with parents of deaf children and deaf role models to provide deaf youth with the opportunity to learn film making skills and to experience their own resilience through visual media. For the first phase of the project, we are hosting four workshops: the first at Kwavulindlebe School for the Deaf; second with families of deaf children; third at Quest College (sign bi-lingual school) and fourth with students from both Fulton and V N Naik Schools for the Deaf. The workshops will include building skills in both still photography and filmmaking and the themes chosen will aim to challenge the students to contemplate their futures. The materials that the students produce will be showcased here on our website. One of the additional aims of the project is to shape a sustainable legacy to enable filmmaking skills to continue to be built beyond the life of this project. Plans are underway to create this.